Merry Christmas, everyone! Our traditional Secret Santa has been completed successfully, hopefully everyone has enjoyed the event as much as we have. Due to circumstances, we had one extra artwork done for the SS, which you can see above as a bonus. 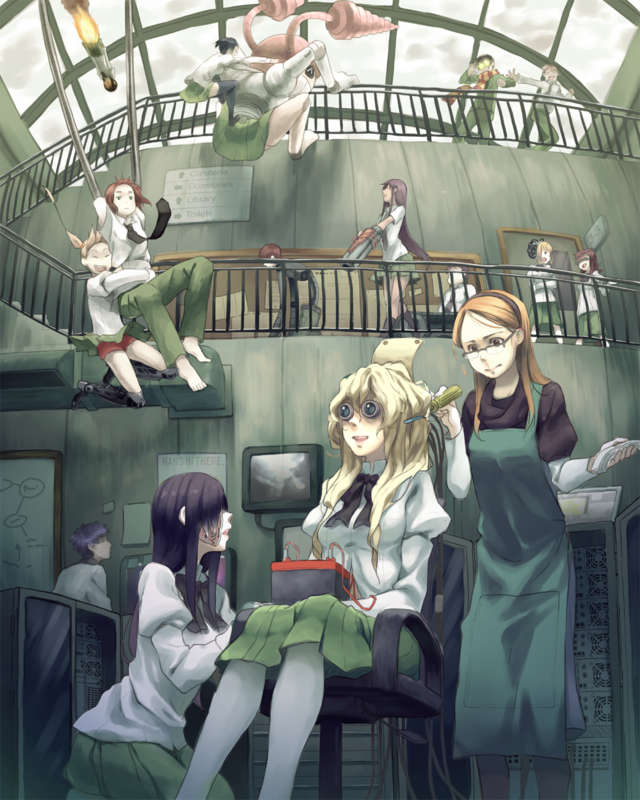 This lovely robotics themed illustration of the Katawa Shoujo cast is, of course, the work of the one and only kamifish.